Our Daily Challenge - Oct 26, 2011 - "When Life Gives You Lemons…"
111 Pictures in 2011 - "#3. dessert (as food)"
... you make Lemon Meringue Pie! 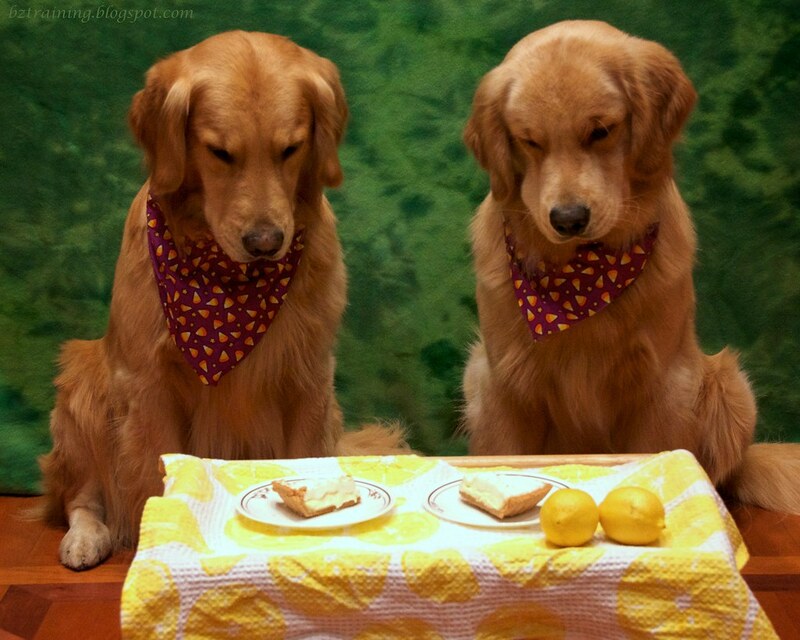 Oddly enough, when the shoot was over, the boys actually wanted the lemons, and when I finally broke down and gave then a small bit of the pie filling, they went nuts over it. 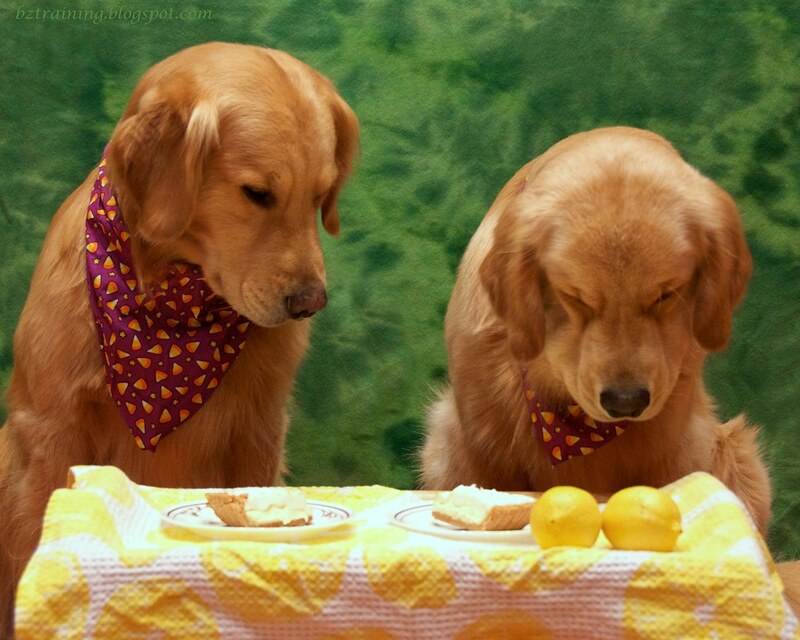 I didn't even think dogs were supposed to like citrus. 111 Pictures in 2011 - "#26. Happiness is…"
Artistic Temperament Scavenger Challenge "#7. Joy"
Yes, Henry has ahold of Zachary's ear. Yes, he grabs it as often as he possibly can. No, Zachary doesn't seem to care at all. Those are too funny! They are actually squinting like they got shot in eye with the stuff!! Or are just waiting for it. Too funny!! LOL, funny, the first think I though was "make lemon chicken". Love the shot of Henry with Zachary's ear. Kolchak does this to Felix. Drives Felix nuts. OK, I admit it, the ear pull has to be my absolute favorite. Great catch. What? No drool? They both have a very intent "I'm waiting" look on their faces! 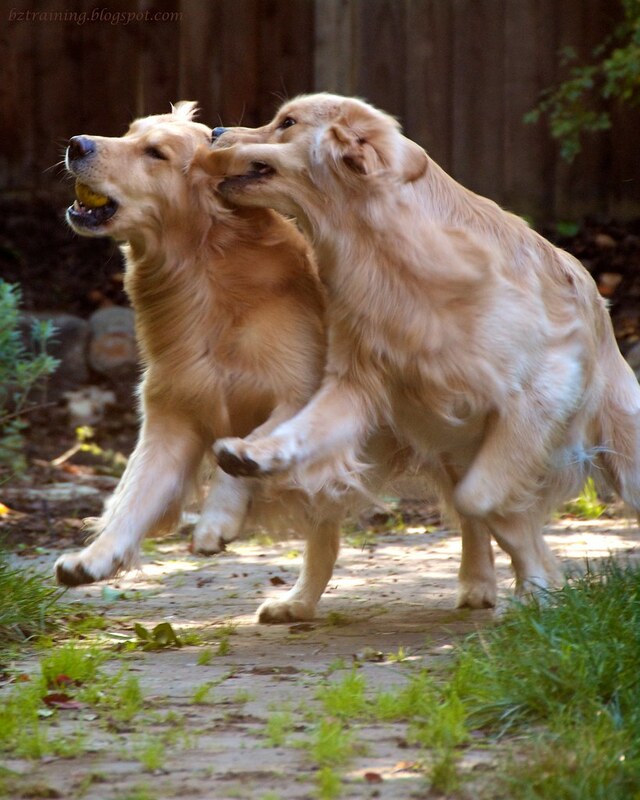 Love the shot of Zachary's ear in Henry's mouth. I'd still buy shampoo if Zachary were selling it! I think I have hair envy, too! Really? 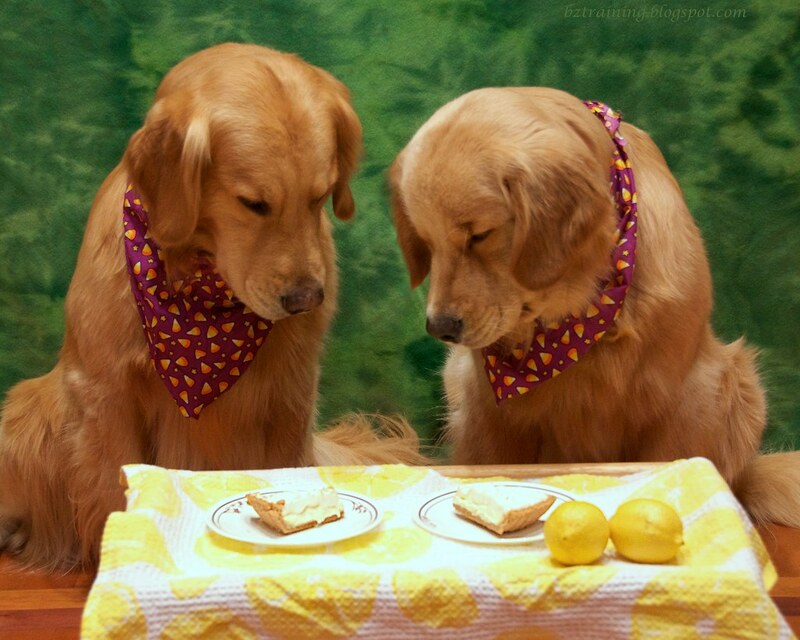 They liked the lemon? I'm gonna get Jen to let me try it. Love pictures! They sat so still! Good-looking dogs! once again so cute!! !..lemons or lemon aide even lemon pie..all favourites here!! My favourite has to be Zachary and his lacrosse ball but the photos with the pie are so darned cute, the different expressions on the boys faces. Beryl would probably eat the pie, but Frankie wouldn't. 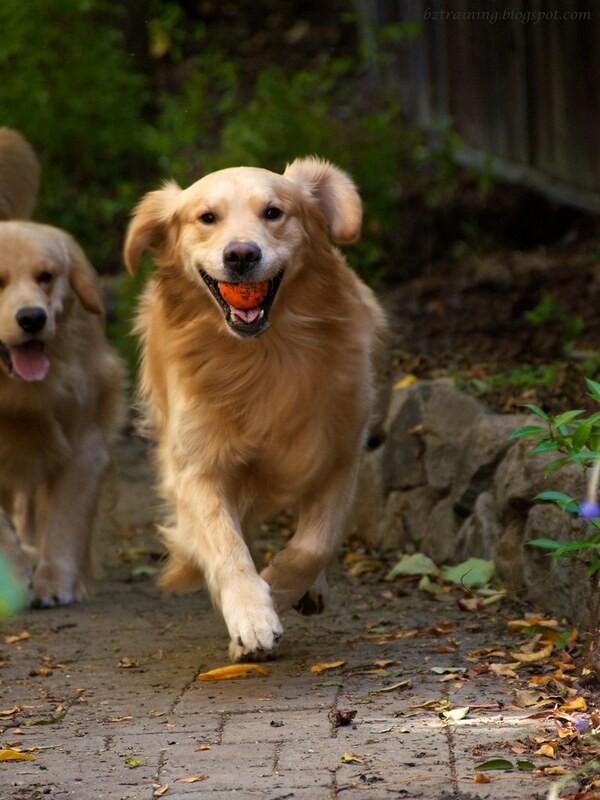 I always enjoy seeing your happy Retrievers!! The boys are the small size! How did that happen? Henry looks like a dog. He has lost his puppy-ish looks! He is so handsome. And Zach, also a handsome guy, is so tolerant.